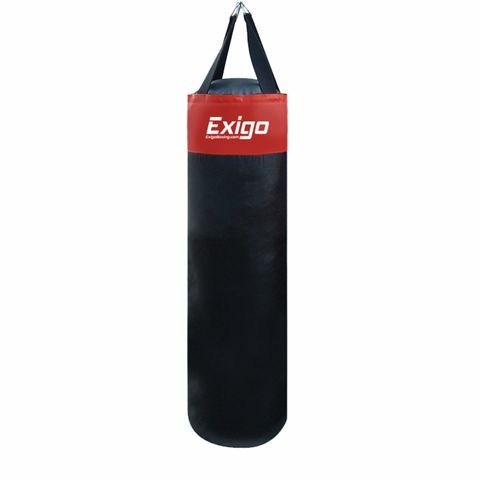 The Exigo 4ft straight punch bag is made and filled in the UK and has a very strong PU construction that is nylon backed for extra durability. This all round punch bag can meet the needs of both home and commercial users and comes complete with 4 hanging straps as well as heavy duty welded D rings. It weighs approximately 25kg (55.1lbs) and is 33cm (13”) wide by 122cm (48”) high. The Carbon Claw Impact GX-3 2ft synthetic leather punch bag is an authentic junior-sized version of the adult punch bags, made to the same proportions so aspiring boxers can practise correctly for the future. 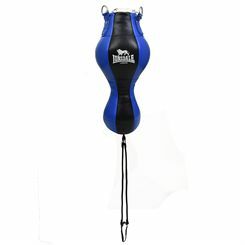 Filled with absorbent material that gives a real feel, the bag has lighter fill at the bottom so that over time the heavy fill at the top sinks downwards to the main hitting area, creating the right balance for a great boxing experience. The heavy-duty material keeps the bag strong, and the top is zipped shut with hidden zippers. 5 metal D-rings and 4 webbing straps are attached to the bag for it to be hung up securely and tied down to the floor. All seams are double stitched for extra safety and durability. 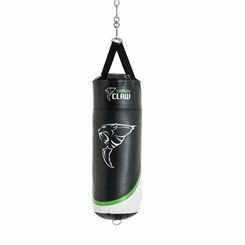 The Carbon Claw Impact GX-3 4ft synthetic leather punch bag lets you practise throwing punches in a safe way. Use this training aid to improve your power, technique and endurance against weighted resistance, and at the same time developing your hand-eye coordination and enhancing your speed of movement. 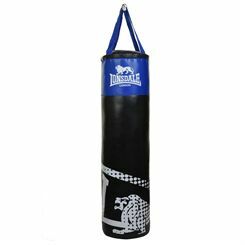 The very strong and durable bag is packed with compressed cloth material and will stand up to a regular beating during your training sessions. The bag features double-stitched seams, a heavy-duty top cover zip, and sturdy metal D-rings and webbing straps for hanging the bag securely. The Carbon Claw Impact GX-3 3ft synthetic leather punch bag is a great training tool which allows you to increase you hitting power and endurance, sharpen your technique and train in a safe environment where you can practise throwing punches correctly. The weighted resistance of the bag reduces the risk of injury and it also lets you improve your movement and hand-eye coordination by working around it. Filled with compressed cloth material, the bag is strong and durable to withstand what you can throw at it, and the seams are all double stitched to increase the safety and strength of the bag. The top cover has a heavy-duty zip and the 4 metal D-rings and 4 webbing straps used to hang it are very robust. The Reebok Combat 5ft heavy leather punch bag is a solid piece of training equipment ideal for boxing, martial arts and other combat sports. 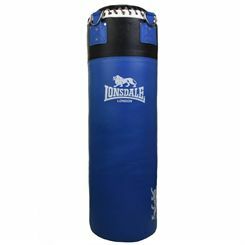 Train 360-degrees around this leather bag for a total body workout that gets you improving your speed, movement, stamina and punching technique and power. This heavy-duty option has shock-absorbing filling and can be attached to a boxing platform via the strong suspension straps. 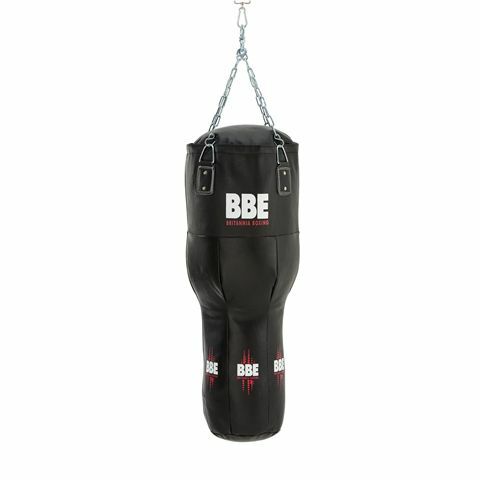 Practice your boxing technique and combinations using the BBE Club leather 110cm uppercut punch bag produced from high-quality split leather making it suitable for intense and effective training at home or in a boxing club. 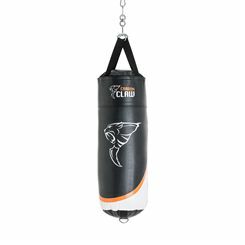 This heavy 44kg (97lbs) punch bag is strong, tough and made to take serious abuse and features welded metal D rings with reinforced double stitched D loops for increased durability and functionality. It is textile filled for greater balance and a more natural feel and comes with a heavy duty 4-way chain and swivel. To help the bag withstand the impact of blows, there are double stitched re-enforced seams with back-tack lock system and a heavy-duty zip closure. 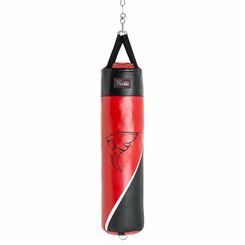 Punching bags are used for building up strength or as a stress relievers. 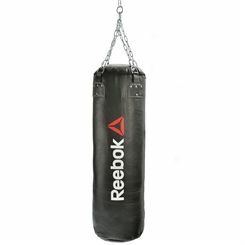 Sweatband.com offers a wide range of heavy bags, made from leather, polyurethane and canvas. They come in different sizes and weights. 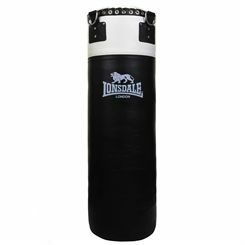 The only common feature of our punching bags is that all of them are made by top manufactures such as: Adidas, Golds Gym, Boxing Mad and BBE.